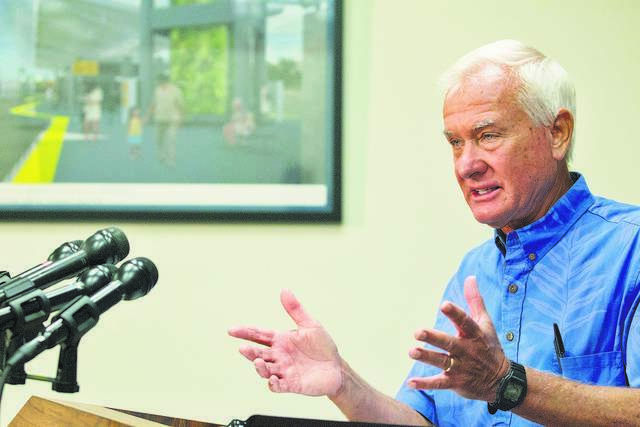 Mayor Kirk Caldwell’s proposed short-term vacation rental bill aims to better regulate and balance competing views on a matter that, with each passing year, seems increasingly disposed to pit neighbor against neighbor. For some residents, bed-and-breakfast (B&B) and transient vacation units (TVUs) are embraced positively in that they serve as important supplemental income. For others, due to decades of weak city regulation and enforcement, this inventory is viewed as a chronic neighborhood nuisance. The bill has flaws. However, the advisory Honolulu Planning Commission’s vote to reject the measure is disappointing as the city cannot afford further inaction. The City Council will get the final say. In years past, the Council’s resolve has repeatedly withered amid supporter-opponent standoffs. This time around, it must forge forward as Caldwell’s bill has potential to bring some much-needed bite to city regulation. In the late 1980s, Honolulu banned the opening of new B&B establishments, and limited new TVUs to hotel-resort zones. As a result, the current legal inventory totals just 816 B&Bs and TVUs — but toothless regulation and enforcement have allowed an illegal inventory estimated at 8,000 to 10,000 operations. Among the more controversial elements of the wide-ranging bill is its vision for short-term rentals in residential areas. It would allow an unlimited count of hosted B&Bs, and would boot the inventory of legal TVUs, which are typically unhosted. TVUs are to blame in most reports of neighborhood problems, such as late-night noise and illegal parking. There’s no doubt that due, in part, to their absentee setup, in some cases TVUs are insensitive or oblivious to neighbors. Still, it seems unfair to abruptly shut the legal inventory. The bill’s proposal to amortize currently permitted, albeit non-conforming, short-term rentals needs closer scrutiny. Among the concerns raised by Planning Commission members and others is worry that lifting the B&B cap in residential areas would bring more snags — further transforming quiet streets into vacation-stay strips. That issue does need further discussion — but there’s reason to believe that demand for B&B permits could be dampened by a justifiable increase in property taxes as proposed in the bill. Both types of short-term rentals are currently taxed as residential use. Given the transient use of the properties and the type of rent charged — as much as $8,000 per night — there’s a glaring imbalance in real property tax policy that must be corrected. What’s more, by failing to crack down on the outlaws — largely TVUs — or expand the legal inventory, the city has missed out on countless fines and tax revenues. Spurring the demand for illegal units, which are often much cheaper than a traditional hotel booking, is a combination of the anonymity allowed by online advertising through brokers like Airbnb and the state’s ongoing record streaks in visitor arrivals. Among the bill’s promising elements: It slaps illegal operators with a stepped-up penalty starting at $25,000 per day, ramping up to $100,000 a day. Failure to pay would result in liens against the property and other penalties. Stiff penalties are needed to deter would-be underground operators. Also, the city intends to tap technology for much of the bill’s bite. The rentals would need a registration number on all advertising, including on social media platforms. If the registration number is not shown, a violation is issued. In response, the Council must resist temptation, and calls, to shelve the bill. Instead, it must address concerns, and find a way to move forward toward a better balance between collecting taxes owed and deterring the rise of illegal vacation rentals.